Layout ~ MFT "Blueprints 3"
So do pop over to DigiStamp Boutique and check out this months gorgeous releases...plus lots, lots more..
Gorgeous card Vicky, love wee Bobbi, so cute. So beautiful Vicky. The image is just soooooo cute and I love the papers and wonderful layout. All so beautifully coordinated Vicky and quite a delight. Beautiful card and I adore that image. Oh how completely adorable is he, love it! Fantastic card, you can certainly sell this or any images by the cards you make. I totally agree Vicky, he is so adorable!! Hope you're having a great week! 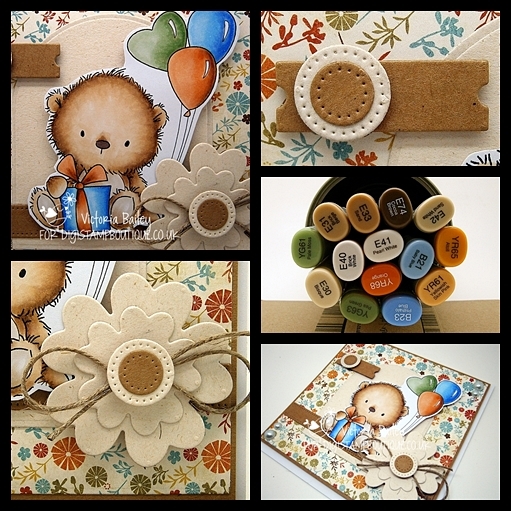 Really cute creation, just love his little face & the colours you have used are perfect!